Europe really does have a lot to offer and there are a lot of magical places to see. 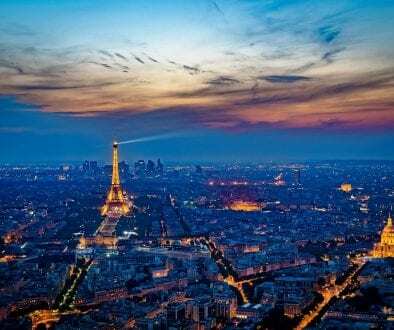 However, most travelers always head to the mainstream locations, like Amsterdam, Paris, London etc and many of them aren’t even aware that Europe has even more beautiful places that aren’t that famous. And that’s why I wrote this article. To show you some of the best hidden gems in Europe you probably won’t find on the tourist map. 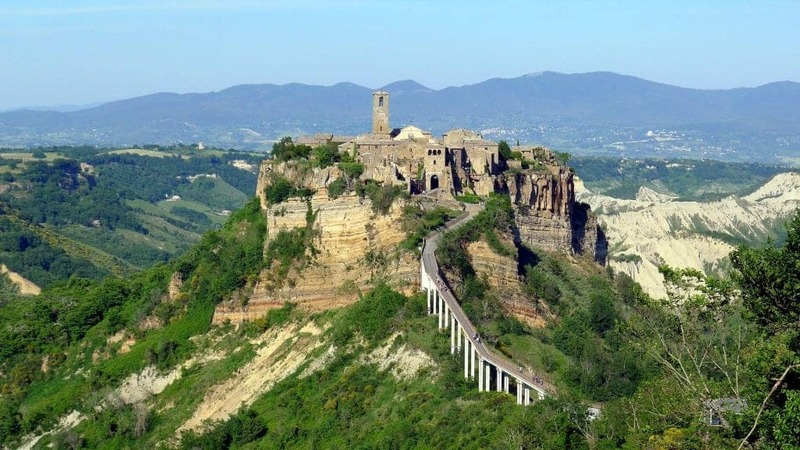 Civita di Bagnoregio is one of the most remote towns in Italy. This ancient small town managed to keep its identity and remain relatively isolated from the rest of the country throughout the years and visiting will make you feel like going back in time. Today, the town has only 14 permanent, year-round residents! The only way to reach the town is by taking a 30-minutes hike up to the hill. If you want to find out more about hidden gems in Italy, check out my article about places in Italy off the beaten track. A charming fishing village that also gets forgotten by travelers. As a matter of fact, Volendam is only 45 minutes away from Amsterdam! The authentic looking houses in this city are neatly arranged in rows that form a straight line. They look incredibly similar and even their windows are more or less at the same height. Just like in a fairytale! For a different and interesting perspective of the city, check out this article about visiting Volendam with a motorhome. If you think all there is to see in Greece is Athens, Thessaloniki, and a bunch of islands, you’re wrong and the Meteora is a prime example of this. The name of this monastery complex translates into English as ‘Middle of the sky’, or ‘in the heavens above’, which is exactly where this complex is located. The Meteora was built in the 11th century and is one of the most important Orthodox monasteries in Europe. The sandstone megaliths on which the six monasteries were built go as high as 1,800 ft (550 meters). Amazing! 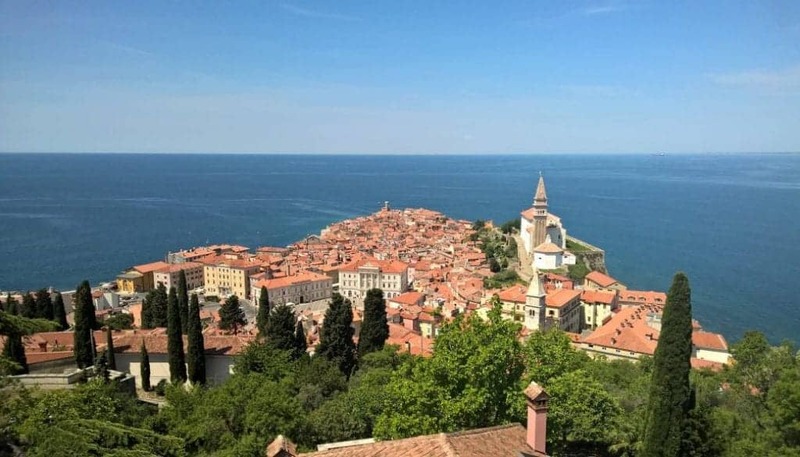 Located somewhere where the Alpine and Mediterranean world cross, Piran really has it all. This is just one of the few cities on the short Slovenian coastline, and it’s certainly worthy of the nickname ‘The Pearl of the Slovenian coast. The city is so beautiful that a lot of people say it’s the most amazing city in the Mediterranean. Between the borders of Italy, Switzerland and Austria hides the story of the most famous Italian drowned city. After World War II, the city of Curon was flooded when the building of a giant dam went wrong and today, the only visible remnant of Curon is the Romanesque bell tower of a church. Interestingly, people say that they can still hear the bell ring, even though it was removed decades ago. Related: Which are the most haunted places in Europe? These islands are located in the picturesque tundras of Norway, just around 100 miles from the Arctic circle. This is probably one of the most photogenic places you will ever see in your life. Literally, anyone can be a photographer at Lofoten. This hidden gem of Norway is filled with jaw-dropping landscapes, If you like the mountains and you’re a fan of trekking, then Lofoten islands will blow you away. Check out this article to learn more about the Lofoten Islands and to discover the best spots for hiking in Reinebringen. is the jewel in Macedonia’s crown. Not only the amazing lake is one of the oldest ones in Europe (over 2 million years old), but the city is also really amazing with a rich history. 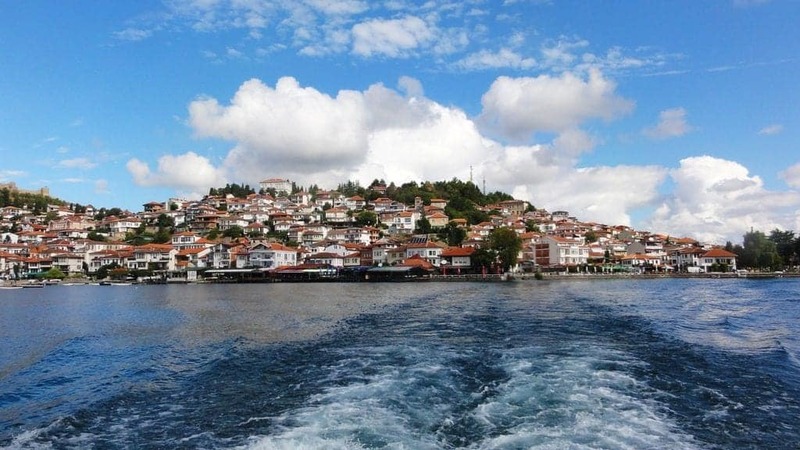 Known, as the Jerusalem of the Balkan, at one point in history, Ohrid had 365 fully functional churches. Related: check out some more hidden gems of the Balkan Peninsula. Kizhi is just one of Lake Onega’s 1600 islands. However, it’s by far the most popular one among tourists. The reason is the Transfiguration Church, which looks like it’s it came out of a Harry Potter movie. Not only is this the largest open-air museum in the country, but it’s also a unique monument of the local wooden architecture. Also known as the Cave of the Nymphs, Melissani has a lake inside of it, and when you step outside you will see nothing, but lush green forests. The roof of the cave is partially open, thus allowing sunlight to enter the cave. 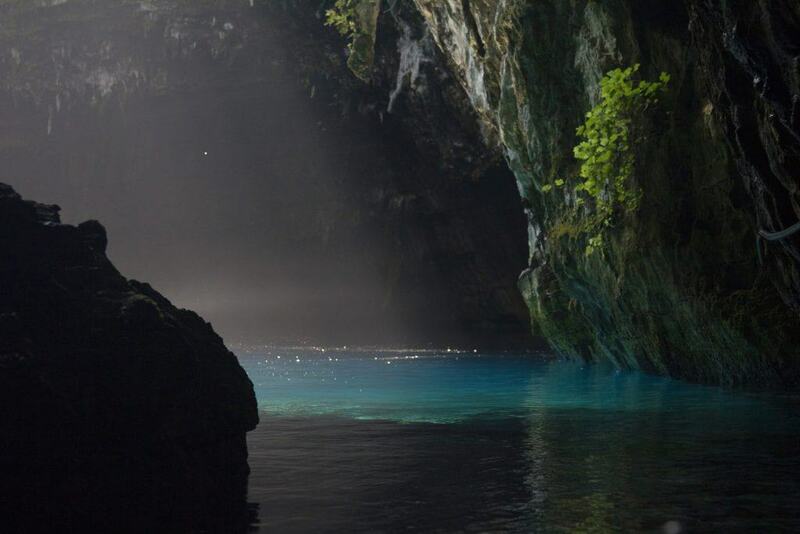 The sunlight reflects the crystal blue lake, making the whole cave looks like it is lit with blue light. This, on the other hand, makes boats seem like they are floating in the air. This wonder of nature is located inside an Icelandic glacier. The caves are older, but the ice first appeared a few centuries ago. After that, the weight of the ice has pressed out all the air of the cave, resulting in texture and colors that are out of this world. The interior of the cave, filled with ice shaped like jewels gives a sight that you couldn’t even imagine seeing in a fairy tale. Just one of the many reasons to visit Europe in the winter. And before the end, we would have to give an honorable mention to La Ville de Dinant. 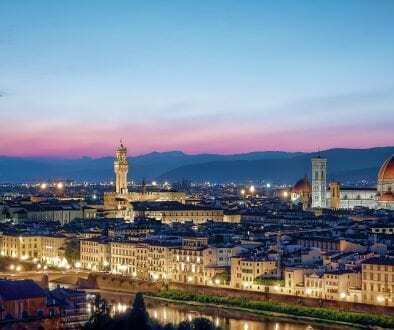 If you are planning a trip to Europe soon and are looking for some interesting places to visit also check this comprehensive Europe itinerary. Also, check out this list if you’re looking for some more fairytale-like looking towns in Europe. And join over 4,000 travelers from around the world! We promise to never give away, trade or sell your email address! Wow! Meteora and Lofoten has always been a place on my bucket list, and after reading this post, my list just grew…I DEFINITELY have to visit Melissani Cave. The water looks so clear! It is great to see Vatnajokull Glacier in the list as I just visited the place last month. It is spellbindingly beautiful. Volendam is also a pretty village. Glad to see so many other beautiful places like Meteora and Piran in the list. Lofoten islands is what I am looking for the next time I am visiting Europe, mostly for the Northern Lights. I am sure there are more to Europe, but these are really hidden gems. Oh my goodness! These are all so beautiful, I can’t even! I love The Meteora. It reminds me of Tiger’s Nest in Bhutan, but magical in its own right. I’ve heard of Vatnajokull ice caves, but that picture takes the beauty to another level. Isn’t it just amazing how many beautiful places there are still yet to be “discovered” by mass tourism? How beautiful!! I lived in Italy for 4 years and visited many off-the-beaten-path gems, but never Civita di Bagnoreggio….it’s certainly a place to go back to! I was also blown away by the sunken city in Lake Resio (I had no idea! ), and the monasteries built on top of the monoliths at Meteora…they look almost like they were Photoshopped! I was just in Iceland but alas, didn’t have enough time to make the Ice Caves – I plan on going back so will definitely add that to my itinerary of things to see! Kizhi doesn’t look real, absolutely stunning. I wonder what it’s like to be there. Not sure about that clock tower still ringing though, think I’d be scared if I lived near there! Such a great post! Some of these places are so picturesque they don’t even look real. Pinning this post so I can go back to it in the future and start exploring these hidden spots! Thanks for sharing! Thank you, Diana- I’m really glad you liked it! Superb list! 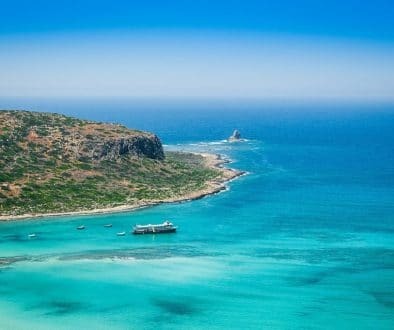 Searching for the best underrated places, isn’t that what most travelers and bloggers do the most? Lofoten is the one on your list that I’d add to my ever growing bucket list, thanks! Thank you, Per and I hope you make it to Lofoten soon. It’s spectacular! Oh No. My bucket list just grew by 10 more destinations. This is a great article and one that I will definitely bookmark for future reference. Now which one will I travel to first? Thanks for sharing. I’d never heard of any of the places off the beaten path in Europe. There really are so many amazing places in Europe that I can’t even imagine how you chose these ten. I’m fascinated with Iceland and I want to visit in winter. But even the gorgeous town in Russia with its church and the monastery in Greece show some amazing churches. I like that some of these places are hard to get to, meaning they won’t be overrun with visitors. I can’t imagine living in a town with just 14 people though! What a fantastic list. Each of the places look straight out of fairytale. Volendam was initially on our list for Netherlands but we had to let go of it because of my bad health on that day. Hope to visit again. Thank you, Sinjana and I hope you get the chance to visit Volendam again. It’s a lovely town. and thank you for stopping by! My name is Daniel and I’m the blogger behind Passport Symphony, a blog about the hidden gems that aren’t mentioned in most travel guides. If you want to travel like a local, get off the beaten track, and not feel like a tourist, you’re at the right place! Traveling to Bulgaria: why it’s going to be Europe’s next big thing?